In Missouri, the Missouri Department of Social Services Family Support Division (FSD) oversees administration of child support. Child support guidelines, as required by federal law, are outlined in section 452-340 of the Missouri Revised Statues. Percentage of time child spends with non-custodial parent in overnight visitation. Determine a basic overall support amount based on the combined income of both parties. Calculate additional costs, including work-related childcare for the custodial parent, health insurance payments of each parent, and extraordinary or uncovered health care costs. Add the additional costs to the basic support amount. Apply each parent's obligation percentage to the overall amount of support to determine the support obligation. Credit the payer for any work-related childcare, educational, or health care expenses he or she pays. Discount the payer's obligation by a certain percentage based on the number of overnight visitations. To get a rough estimate of how this works and to calculate potential child support, you can plug numbers into this Missouri Child Support Calculator. 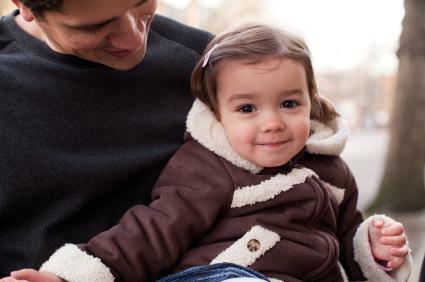 Your attorney or FSD will file the necessary documents to obtain court-ordered child support. If both parties reach an agreement, you may not have to appear in court. However, if parties do not agree on child support owed, you will need to go to court at a pre-appointed date and time to talk with the judge. At this point, the judge will determine the support amount and issue a court order. Parents may request modification reviews for any reason every three years. The child is still enrolled in and attending high school after his or her 18th birthday. The child is enrolled as a full-time (12 credit hours or more) student in college or a vocational school. In these cases, the child must supply transcripts to prove he or she is attending school. It costs money to raise a child, and each parent is obligated to support his or her child, regardless of the relationship with the other parent. Whether you have physical custody of your child or are the non-custodial parent, you must provide financial support. Contact FDS or an attorney so you can ensure your child receives the necessary financial support to thrive.